Online video site Veoh this week launched a beta version of its service - a downloadable browser for users to access online video from a range of websites. Intended to be a killer desktop video application, the browser pulls video content from a range of sources and organises them for users. The idea is to turn the video content available on the web into a more TV-style viewing experience. Videos are sorted into channels, or you can use the search feature to find what you want. Veoh TV will also have a recommendation engine, which will give you a list of videos you may like, based on your viewing habits. 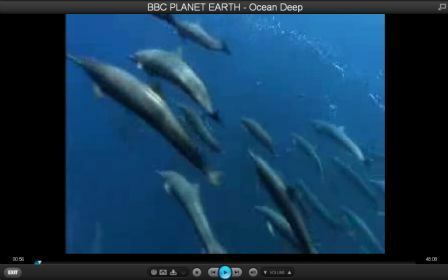 The Veoh TV application is pretty good so far – it’s well thought out and easy to use. P2P applications Joost and Babelgum have a more appealing UI, with an on-screen ‘remote control’ to navigate through the channels on offer, while Veoh’s is more basic. For UK viewers, a lot of the content is unavailable to view at the moment – videos from Fox, NBC, and CBS cannot be viewed outside the US. The biggest drawback is that, while the picture quality on Joost and Babelgum is excellent in full screen mode, on Veoh - as a lot of the videos come from YouTube - they do not display well when enlarged. However, Veoh TV has an advantage over its P2P rivals when it comes to content – potentially you can view thousands of videos through Veoh’s search tool, while viewers of Joost are more limited. MyStrands, a music recommendation site based in Spain, has announced that it has received $25m (£12.5m) in second round funding. This round was led by 25 year-old Spanish media mogul Antonio Asensio, who owns Grupo Zeta, the third largest media group in Spain, and brings the total funding raised by MyStrands to $31m (£15.6m).